Prime Minister Nikol Pashinyan has arrived in the Federal Republic of Germany on official visit. The Prime Minister’s first destination was the German city of Cologne. 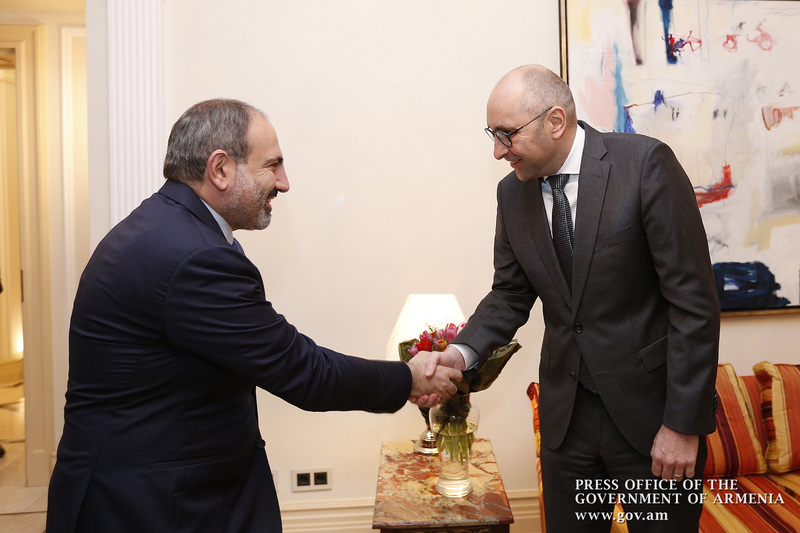 Early on January 31, Nikol Pashinyan met with German Development Bank (KfW) Eastern Europe Regional Director Olaf Zimelka. The Prime Minister noted that KfW is an effective partner for the Republic of Armenia, with which a number of programs are being implemented in various sectors of the Armenian economy. In this context, Nikol Pashinyan highlighted the signing of a € 23,208,483.13 grant agreement under the Armenia Biodiversity and Sustainable Local Development Program with KfW Bank in November, 2018, which is one of the most promising projects in our region. The Premier emphasized that bringing this sphere to high environmental standards is among his government’s priorities, and he was glad to have a reliable partner in the face of the German Development Bank. In turn, the KfW Regional Director noted that Armenia is an important partner for the German Development Bank, with which several joint programs have been implemented so far. Pleased with the ongoing cooperation with different government agencies, Olaf Zimelka said Armenia-KfW partnership promotes the development of Armenian-German relations and, in this respect, the Bank is keen to discuss and implement ever new initiatives. 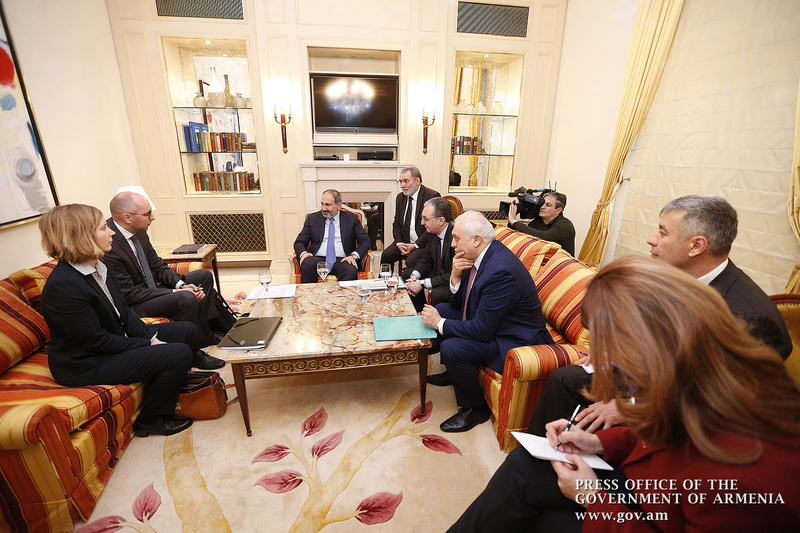 The Prime Minister of Armenia and the KfW Regional Director discussed the current programs in the spheres of environmental protection, energy, agriculture, infrastructure, water management and reservoirs. They took the opportunity to exchange views on the prospects of cooperation in other promising areas.